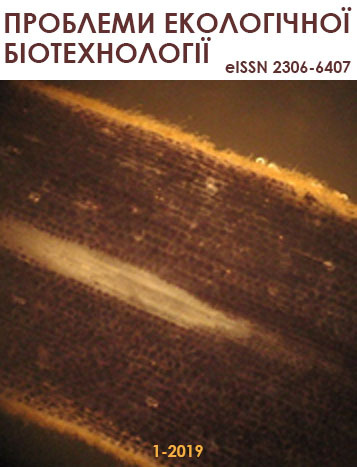 Online scientific journal “Problems of Environmental Biotechnology” was founded by National Aviation University in 2012. The journal reviews a wide range of theoretical and applied problems of environmental biotechnology in biological and technical branches of science. According the order of the Ministry of Education and Science of Ukraine № 1609 from November 21, 2013 online scientific journal “Problems of Environmental Biotechnology” was included in the list of scientific specialized issues of Ukraine for technical (environmental safety) and biological (biotechnology, ecology) sciences. The editors will accept articles for publication on the following topics: Ecologization of biotechnological processes. Ecological features of bioobjects. Bioenergetics. Biodeterioration and biocorrosion. Bioremediation. Biotesting and bioindication. Interdisciplinary research in environmental biotechnology. The journal has such items as “Reviews”, “Experimental articles” and “Young scientist’s page”. Articles must meet the requirements and regulations established by editors.